Once again we’re honoured to have Sydney FC captain Alex Brosque our Sydney FC male ambassador for 2019. Alex joined up with us in 2007 during his first stint as a Sky Blue, and continues his ambassadorial role this year, as well as continuing his role with Common Goal. Our female ambassador is W-League captain and Matilda Teresa Polias. This is the first year that Teresa will link up with Football United, and we’re excited for our participants to learn from her leadership and experience over the course of the year. 2019 is an exciting new chapter in the evolution of Football United as we launch our new identity. It's our chance to say thank you for travelling with us on the journey so far, to appreciate where we are, and to look forward with purpose. The logo is a classic football shield shape in a clean, modern design. and represents the hundreds of people every year that wear the jersey and are part of our story. The ball represents the beautiful diversity of our individual journeys and experiences. The shield represents the stability and familiarity of our football field, where we come together to play, connect and learn. We retain our famous red colour complemented by white and black accents. Building Capacity, including FFA coaching certification, positive youth development and student work experience. Building Pathways, including school-based and community after-school programs and pathways to employment, aligned with the Creating Chances pathway. Building Awareness, including youth advocacy, female engagement and shared value outcomes with partner organisations. In December Anne Bunde-Birouste and Tun Aung Shwe joined the #football4good summit 2018 in Berlin to share with over 100 network members from Football for Good organisations around the world. 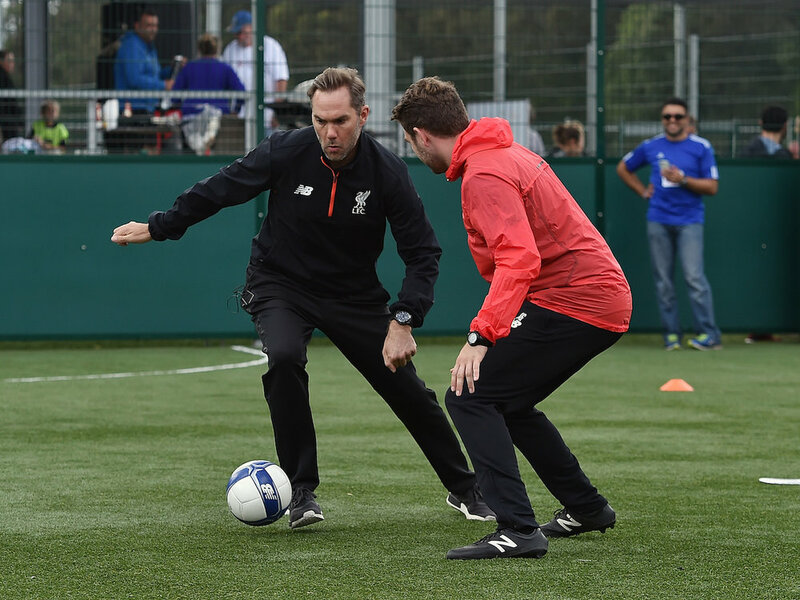 This week was our TENTH Football United Festival, a huge achievement! We were able to celebrate with 240 students from our long-term partner schools Evans High School and IEC, Fairfield High School and IEC, Miller Technology High School and IEC, Lurnea High School and IEC, Arthur Phillip High School and our friends at Western Grammar School. We were especially honoured to have Western Sydney Wanderers youngster John Roberts join us to speak to the players. John’s first taste of football after moving from Guinea to Australia was with our community football program, Football in the Park Blacktown. John has since captained the Joeys and signed for the Wanderers. After a full day of games in the sun, it was Arthur Phillip who took out the Boys Senior and Girls Competitions. Fairfield won a tense penalty shoot out against Miller in the Boys Junior final. Arthur Phillip took the overall title, and Evans High School won the prestigious Fair Play trophy! To celebrate Female Football Week and International Women’s Day, Football United will hold a girl’s football festival for over 150 girls on Thursday 15th March, in partnership with Football New South Wales, the Commonwealth through the Department of Foreign Affairs and Trade’s Council for Australian-Arab Relations (CAAR), The Lebanese Muslim Association (GoActive) and Sydney FC. Participants will join from Blacktown, Liverpool, Fairfield, Parramatta, Campbelltown and Lakemba. The Female Football Week gala day is one of many activities organised by Football United between March 13-17. Football United Program Manager Assmaah Helal said “This year’s Female Football Week celebrations will recognise the important role women play in enhancing the game for all. This event is part of a week-long ‘Sportswomen for Change Leadership Forum’ bringing together women from Arab nations to connect with Australian women who use sport to drive positive social change in their respective communities.” Delegates will support the delivery of a multicultural girls’ gala day at the state of the art facilities at Valentine Sportspark. Women and Girls Development Manager at Football NSW, Jo Fernandes, stated “We are delighted to support Football United’s Multicultural Girls Gala Day. To see so many girls experiencing the enjoyment and friendships that football can offer will be a great sight to see this Thursday at Valentine Sports Park. The Sportswomen for Change Leadership Forum is also an important initiative, and we have some delegates attending from the football community to connect with the international guests”. Fernandes is no stranger to football international relations being the first ever female appointed by FIFA to be a General Coordinator at a men’s World Cup. “It is an honour to be appointed for the World Cup in Russia this year and I will certainly relish the opportunity to work at the highest-level football event. I have much experience working in many different countries and with various cultural communities, so Football United’s work in connecting cultures is certainly one that I can identify with and fully support” Fernandes concluded. The 5-day residential women in sports leadership forum will be held at the National Centre of Indigenous Excellence providing an opportunity for positive cross-cultural exchange and a unique learning environment facilitated by experts in leadership, football and sports for social change. This forum is supported by the Commonwealth through the Department of Foreign Affairs and Trade’s Council for Australian-Arab Relations, and our key partners The Lebanese Muslim Association (GoActive), and Football New South Wales. Delegates will support the delivery of a multicultural girls’ gala day at the state of the art facilities at Valentine Sportspark, celebrating Female Football Week; participate in an evening discussion forum hosted by Moya Dodd and Gilbert+Tobin lawyers; and take part in the A-League Harmony Round flag march supported by Sydney FC and the Australian Federal Police. Interview opportunities will be available with Football United team members and the Sportswomen for Change Leadership forum delegates. Families, friends, staff and players from Football United's Football for Hope Festival 2018 team met this week to begin the start of a life-changing journey, culminating in a trip to Moscow during the FIFA World Cup! Players Anita, Salman, Dalin and Noor will join Youth Leader Natasha Hill and Head of Delegation Stuart Meney on the trip as Football United once again connect with StreetFootballWorld, FIFA Football for Hope, and scores of organisations that use football for good around the world during the 10-day Festival. 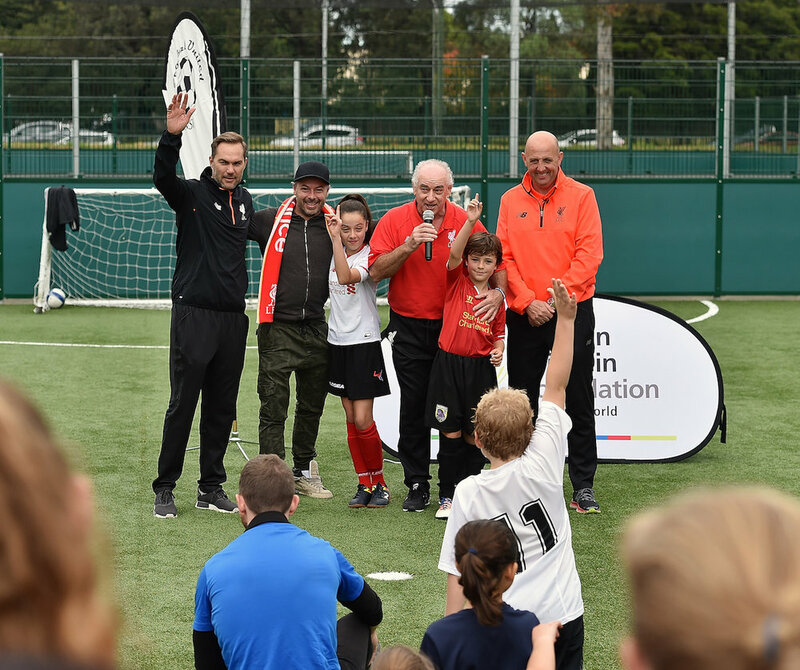 The sun shone, the sun screen applied and the teams played hard in December at the ninth annual Football United Fair Play Festival. Over 150 players from Football United programs across Sydney applied our core value of respect to "teammates, opposing players, game leaders and yourself". Teams are awarded additional points for playing and competing within our fair play guidelines, as well as the traditional points for wins and draws. After 3 hard fought hours it was Fairfield Intensive English Centre who pipped Lurnea in the final of the Senior Boys. Arthur Phillip HS took out the Girls final with a hard fought win over Fairfield, and managed a double success as the Junior Boys overcame Evans Intensive English Centre in the Final. 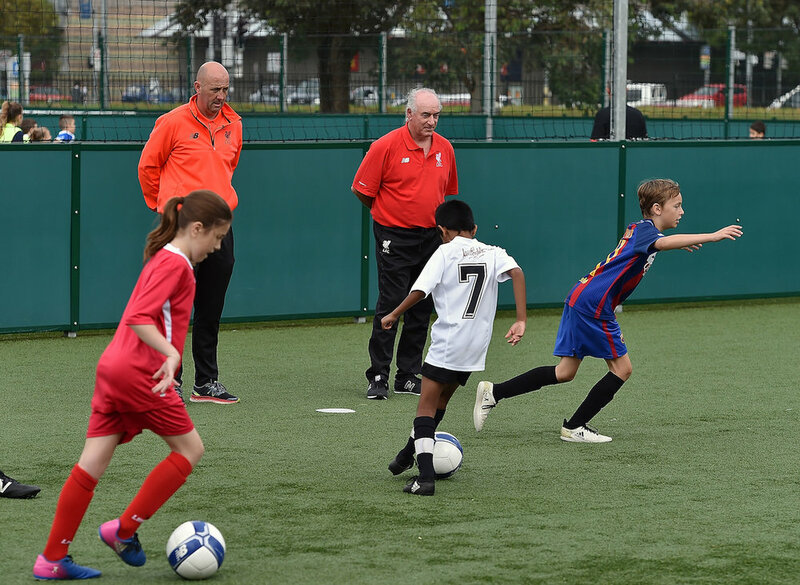 Football United programs launch again in February 2018, with weekly football training sessions at High Schools, as well as the second year of our F3 League in Auburn and Liverpool. The Football United Myanmar team has been delivering Football for Peace Gala Days across Kayin State this week for 1000s of children and youth! Football United youth leader Courtney Cocoran-Roberts is heading to Dallas in mid-June to join young leaders from around the world at the Michael Johnson Young Leader course, where she will be exposed to the environment of a world class sporting institution while receiving training and exploratory education in leadership, life-skills, cultural and community engagement. Courtney will also receive an annual stipend to continue her academic, athletic, and social program over the following 12-months. Courtney is a young Aboriginal woman from Kamilaroi country currently in her final year of study to become a Physical Development and Health Education teacher. She has been involved in Football United as a participant, coach and youth leader since her time at Evans High School in 2012. Courtney has a love for all sports however her passion is with dance which has given her the opportunity to travel to San Diego to represent Australia at Hip Hop Internationals in 2015. Since returning from working in a remote Aboriginal community in the Northern Territory, her desire to work with Aboriginal and Torres Strait Islander (ATSI) youth within her own community has strengthened. Courtney considers herself extremely fortunate to be given guidance throughout her youth and believe that she should extend this same guidance and leadership opportunities to current ATSI youth. She plans to work alongside Football United and the local community to develop and offer a culturally-specific program that uses sport to promote social change and to promote and strengthen positive social and leadership skills within the youth through these programs. We're excited to get some new balls this week, courtesy of Park Social Soccer Club's Pass A Ball project. As I sit here icing my knee recovering from an ACL reco, I reflect on the big week we had. Thousands of women and men around the world acknowledged women, organising events where women shared their stories and inspired others. Depending on which side of the fence you sit with regards to celebrating a day or week specifically for women, we know that story telling, sharing our challenges and strategies, and connecting with others makes us feel good. Capacity building for young women and gender equality is embedded in the work we do at Creating Chances and Football United. Over the years we’ve seen participants grow, developing the confidence to pursue opportunities and work towards a goal, at the same time staying connected to the organisation. As we do every year, we decided to dedicate the week to our female staff, volunteers and participants in our program. The theme was #inspireconnectplay. Just over 200 girls from diverse backgrounds came together to be inspired, to connect with new people, and to play sport (or maybe just take a day off school? And then soon realise they were inspired, they connected and they played and had a bloody good time). Participants travelled from East to West of Sydney; they were girls who had just recently arrived to the Australia supported and encouraged by their teachers and peers to gain new experiences, Indigenous Australian senior school leaders, soccer players, rugby players, all took part throughout the week. Many of us are familiar with the power sport has to creative positive social change, foster positive youth development, self confidence and a growth mindset, and to provide a platform to share information and educate girls and women and their communities about women's rights, health issues and more. But in most cases the environment is dominated by male coaches and male management. Female coaches, administrators and role models are vital components for ongoing participation and increasing equality. I like to take pride in the work we do at Football United and Creating Chances. A 2015 report by The Women's Game (“Girls football participation hits all-time high”), highlights the reasons for increased participation of football for girls from minority groups and migrant communities, and makes specific reference to Football United’s role in this achievement. We face many challenges, but it helps that 40% of our coaching and facilitation staff are female. At a grassroots level we are able to address this gender bias and provide access to coaching qualifications and opportunities to use these skills within their community. 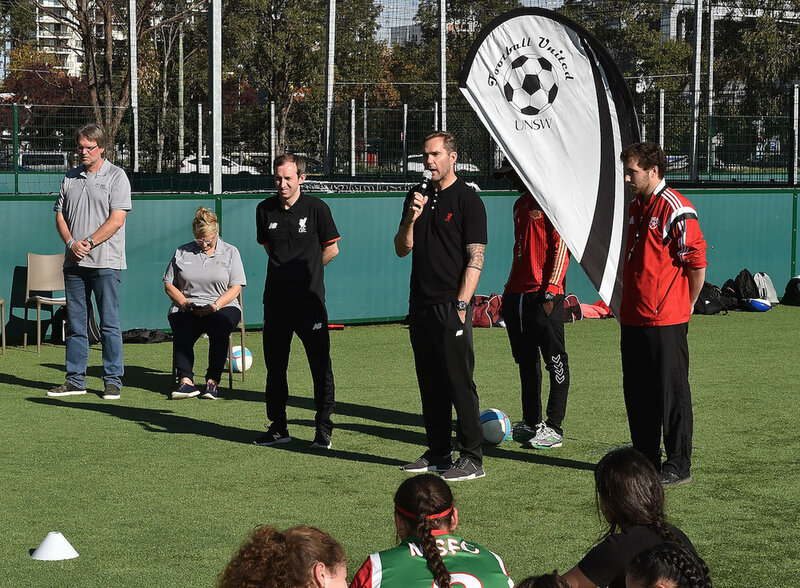 The gender balanced environment provided by Football United not only increases short term participation amongst females but also the long term opportunities to grow and diversify the volunteer and paid workforce available to Football in Australia. Not only is it about growing the confidence of female players but it is also about normalising women in leadership positions. Most of our female coaches and facilitators and incredibly influential to boys and girls in our programs. At our Gilbert and Tobin Young Women’s Forum, Moya Dodd (FIFA exco member, AFC member, former Matilda) reminded the girls (all of us actually) that “whether you think you can, or you think you can’t, you’re right”. The message is clear: be yourself, and think about how we think about ourselves. Moya also pointed out that it was 5 years since the FIFA hijab ban was lifted. A campaign led by Prince Ali, Hesterine, and Moya to lift the ban placed on Muslim women who choose to wear hijab on the football field. Take small steps to cross the river and you’ll get to where you want to go. The efforts to lift the ban took 5 years. But in that time there was a huge growth in Muslim women’s participation in sport. This week has made me reflect on how far we’ve come since the days that inspired me to do what I do. In 2005 I was faced with a dilemma that threatened my ability to play the sport that I loved. In 2008 I found other women in a similar position to me and I knew something had to be done. While I was at university, I took it upon myself to organise an inter-university women’s futsal competition open to members of the community. Not long after that I was contacted by a migrant resource centre to help develop a ‘youth empowerment through sport’ program for girls from refugee and newly arrived communities. I had developed a swimming for health program, using my experience and passion for swim education to promote healthy relationships and healthy lifestyles parallel to swimming lessons. I also developed leadership camps and futsal competitions for women. While the challenges still exist, parents are realising the role sport plays in the development of their children, especially when see they other successful and inspirational women in sport as positive role models for their daughters. Our week featured women with such calibre. 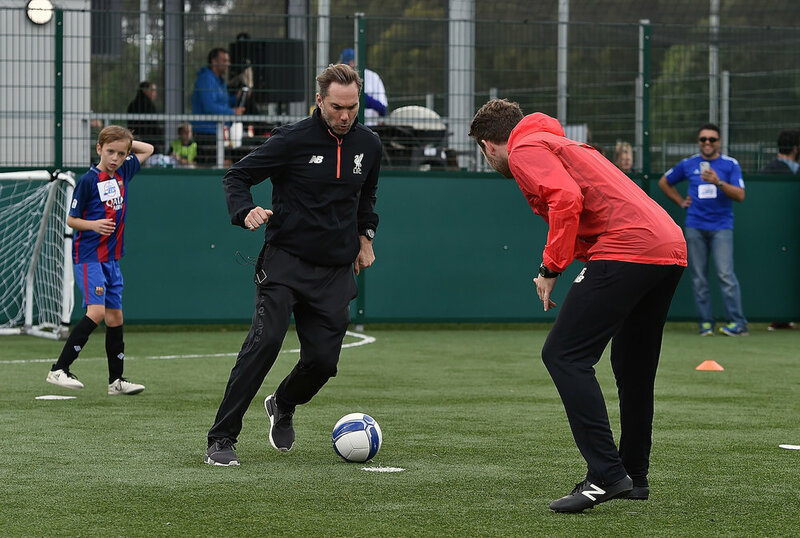 The Female Football Festival (celebrating Female Football Week with Sydney FC and Football NSW), The Sydney FC match day event and the regular 25 programs we run per week were all managed and facilitated by extraordinary women. This week has also given me the chance to further reflect on my leadership and the position I am in. 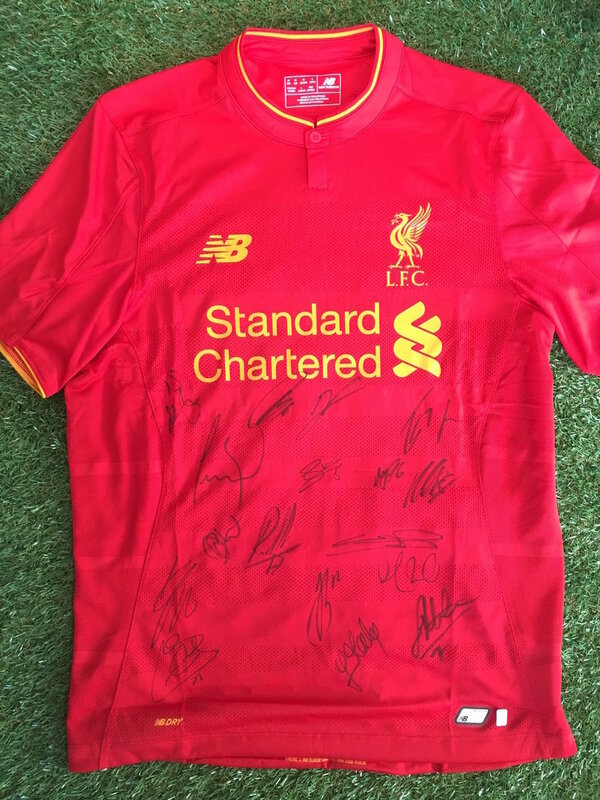 Being a footballer and a former captain has instilled within me values that guide my actions and decisions daily such as taking responsibility for myself and my team, being resilient and thinking positive when we are behind or faced with challenges. My faith also teaches me values of striving for excellence in everything that I do. In June 2016 I was fortunate to have taken part in the Women’s Sport Leadership Academy in the UK, a program bringing together women in middle management positions in sport. It gave me the chance to network, identify my strengths, develop mentoring and strategic thinking skills and set the wheels in motion to achieve my short to long term vision. I’m a believer that humans are inherently good, and want to do good. People want to be part of something but often don’t know how. I am fortunate and blessed to have been mentored by some incredible people generous enough to take time to guide me. Now that I am in the position I’m in, I feel that it is my duty to pass on what I’ve learnt to others; to allow others the chance to join you on the journey whilst also providing them opportunities to set their own path and create their own story – they will endure challenges and make mistakes. I’ve learnt to be ok with making mistakes - I’ve learnt to get on with it and do it better and different the next time. Female Football Week coincided with International Women's Day, and we celebrated over 3 wonderful days with Gilbert + Tobin, Sydney FC, Football NSW and UNSW. First up Gilbert and Tobin hosted our #InspireConnectPlay forum with students from Kingswood, Jamison, Arthur Phillip, Evans and Miller High Schools. FIFA Executive Committee Member Moya Dodd lead an inspired morning, and students discussed advocacy under the #BeBoldForChange banner. In the afternoon students presented their advocacy projects to a panel, and engaged in a Q+A forum with representatives from Football United, Sydney FC, Gilbert + Tobin and Hyundai. Second, Football NSW hosted the Sydney FC F,ootball United and Creating Chances Female Football Festival, bringing together students from across Sydney to connect and play small sided games whilst being inspired by the stories of our wonderful special guest role models, including Moya, Areti Theodorou and NSW Multicultural. Finally we joined Sydney FC for their A-League match against Central Coast Mariners, where students from 3 schools joined the players on the field and for a half-time kick about. We also put together a series of films of our legend staff and volunteers, which can be seen below! We celebrated our incredible 8-year partnership with Sydney FC this last week, coinciding with Female Football Week and International Women's Day. Youth from our Miller Technology High School and Arthur Phillip High School programs joined young students from Briar Road Primary School on the field before kick-off, and Miller student Athmar Habeb presented the match ball to the referee! Thanks Sydney FC and UNSW for an exciting partnership. F3 is our brand new Friday Night program at Auburn PCYC in partnership with Creating Chances, Marist 180 and PCYC NSW. It's a FREE football tournament over 7 weeks that promotes fair play in a competitive environment for youth aged 14-16. It's been 7 months since our team descended on Lyon for Streetfootballworld's Festival 16, and we're excited to get our hands on the Festival 16 Book and reminisce! 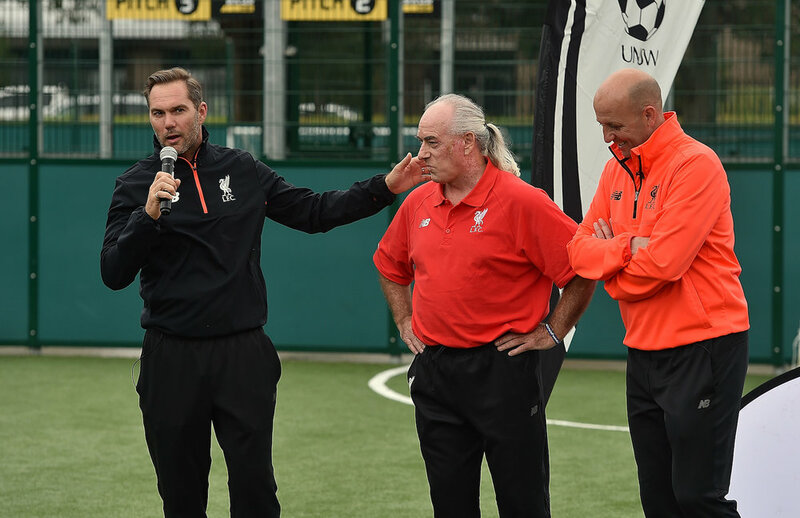 There's a great interview from Maccia Al-Hamwi, Football United's representative on the Streetfootballworld Youth Advisory Board, and each of our participants and Youth Leaders are pictured throughout. Download the Festival 16 Book here.